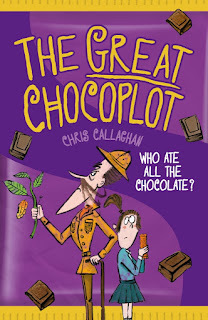 The first thing I have to say about this book is it looks delicious - covered in squares of chocolate with a purple (synonymous with a certain confectionery brand!) foil background. It certainly looks good enough to eat. And what's inside is equally appetising. The Great Chocoplot is the story of young Jelly and her family who live in the chocolate factory town of Chompton-on-de-Lyte. They are devastated to hear the announcement of a chocopocalypse (the end of chocolate!) which was predicted by the ancient people of Easter Egg Island. Panic buying and rioting ensues and a cloud of depression lands on Jelly's home town. Everyone is devastated, except for the pompous confectioner, Garibaldi Chocolati. Now isn't it a bit suspicious that the owner of a chocolate shop isn't upset about a chocopocalypse? Jelly certainly thinks so, and with the help of her wonderful Gran, sets out to solve the mystery. I absolutely loved this book. Firstly, because it is so funny. I don't normally laugh out loud while reading but I did with this book. Jelly and her family are wonderfully quirky, original and hilarious. I especially liked the incompetent but loving dad. The dialogue is sharp and witty and the cast of secondary characters is pure comedy gold. 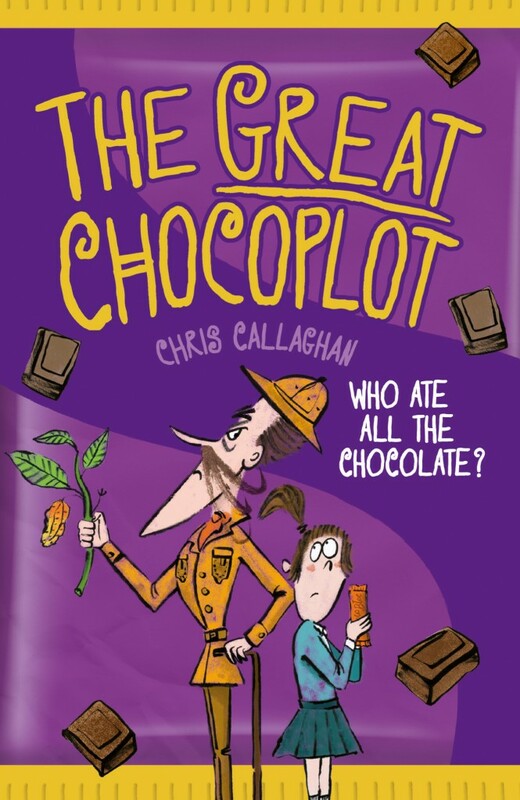 Garibaldi Chocolati is a villain that even Dahl would have been proud of and indeed the book sits confidently and comfortably somewhere between Roald Dahl and David Walliams. Kids will eat this up (sorry!) because at its heart The Great Chocoplot is an adventure and mystery story full of charm and heart with the theme of family being central at all times. And it's about chocolate. What's not to love? An impressive début, Mr Callaghan. I give this 5 (Milky Way Magic) Stars out of 5! Which Black Lotus character are you most like? Take THE BLACK LOTUS quiz. Share book reviews and ratings with Purplek, and even join a book club on Goodreads. © Copyright 2014 Kieran Fanning. Awesome Inc. theme. Theme images by Barcin. Powered by Blogger.